When I was small, I went to a circus where among other things, in one act three horses walked around with their forelegs resting on each other's backs. 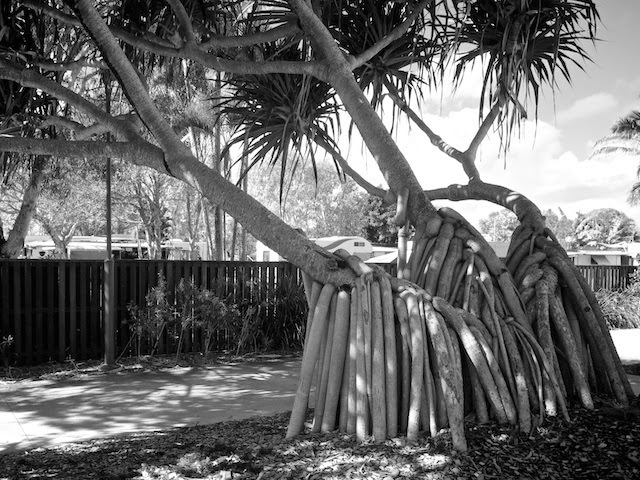 There may have been some innuendo there that my eight year old mind didn't understand, but when I see these pandanus, I see those horses. Actually they are more like giraffes. They certainly do look bizarre!